We launched another manufacturing website! 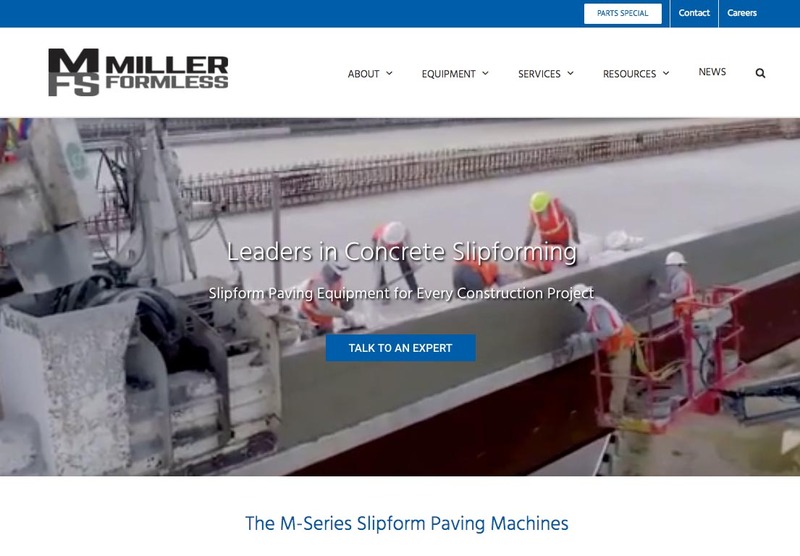 Miller Formless out of McHenry IL manufactures slipform paving equipment. A new theme was installed and each page redesigned. Blog posts were recategorized. A new interactive world wide distributor map was added. Miller Formless wanted their visitors to easily find critical information such as equipment specifications, video demonstrations of equipment, equipment support articles and a request form to order equipment manuals. Request Your Free Website Consultation.